Our day-to-day activities increasingly involve interaction with all types of connected devices, dissolving boundaries between the physical and digital worlds. From smart TVs in our homes to fitness trackers around our wrists and office air-conditioning controlled by sensors, the Internet of Things (IoT) has quickly and quietly become part of our everyday lives. Research firm Gartner estimates 6.4 billion ‘things’ will be connected to the internet by the end of 2016. Various industry watchers expect that number to reach tens or even hundreds of billions during the next few years. The first step to building communication between customers and devices is to send notifications when something important has occurred or changed. For example, a fitness tracker can send an alert when a personal goal has been reached, while a home security system notifies its owner of someone entering the house when they’re at work or on holiday. For critical information, a short SMS lets customers know what’s going on without contributing to an overload of push notifications on their already crowded smartphones. This is also helpful for businesses using connected devices across a range of industries; whether it’s a retail store using smart shelves to notify staff when they need to be restocked, or sensors monitoring machinery fault codes to send maintenance alerts. Once a user has received these notifications, provide them with the opportunity to do something about the change or use their device remotely. This ultimately gives your customers more control over the objects they interact with, no matter where they are or what they’re doing. An SMS reply is the easiest way for users to power their devices without having to open an application. For example, a user could reply ‘YES’ to turn on the heating when notified that the temperature has dropped to a certain level. Remote access to devices will also help businesses manage equipment and respond to issues. The ability to automate day-to-day tasks without human involvement has great appeal. Enabling your customers to make changes automatically provides a great experience. This kind of automation also makes your customers’ lives easier, whether it’s by starting their washing machine at a certain time so it’s finished when they get home from work, or automatically turning off idle devices to save energy. There are many applications of automation beyond the home as well. Businesses can use this functionality to order more stock when product numbers drop to a set threshold, and some local councils have already installed street lights that automatically turn on and off based on weather conditions. There’s no point in having connected devices unless they provide their owners with actionable insights. The Internet of Things allows your customers to have greater control over the tools and objects they use every day, empowering them to act remotely or automate regular activity to free up their time. 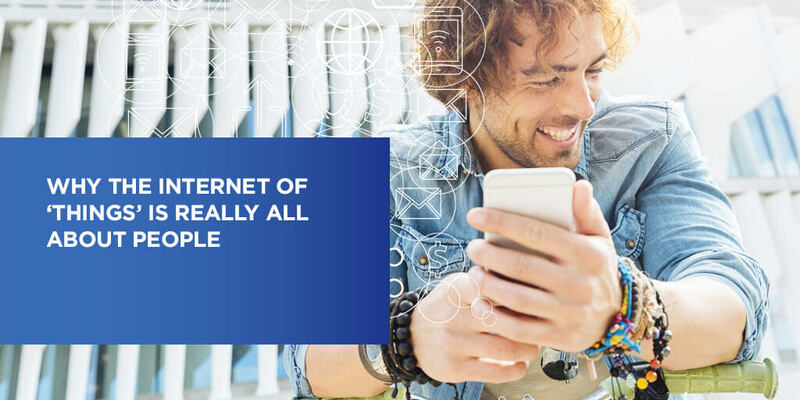 To make the IoT work for your business, ensure customers and devices can communicate easily with simple messages that either provide a notification or generate an action. Making this a straightforward and non-intrusive process will ensure your business is adding value that customers will appreciate. Download our free e-book to learn more about how you can develop actionable insights with IoT applications.